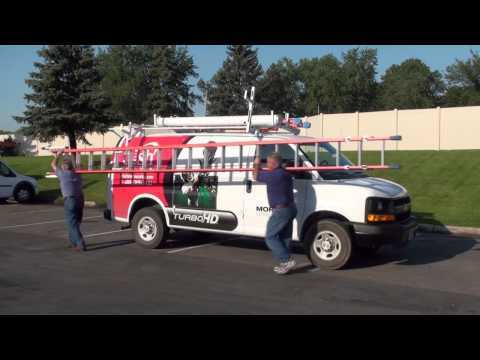 For rotational style ladder racks, crossbars can be spaced at 5, 6, 7, or 8 feet. Crossbar spacing and the vehicle’s wheelbase length will dictate the ladders that can be carried. Crossbars can be spaced at five, six, seven, or eight feet. A 3rd crossbar can be spaced four, five, six, or seven feet. 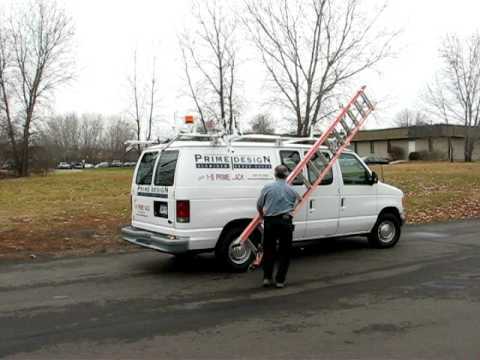 If carrying a long extension ladder and a short step ladder, a three crossbar rack is suggested. Contact Prime Design customer service for application specific questions. Check the vehicle manufacturer’s recommendation for roof capacity weight limits. A wide range of accessories are available including conduit carriers, light holders, and more.